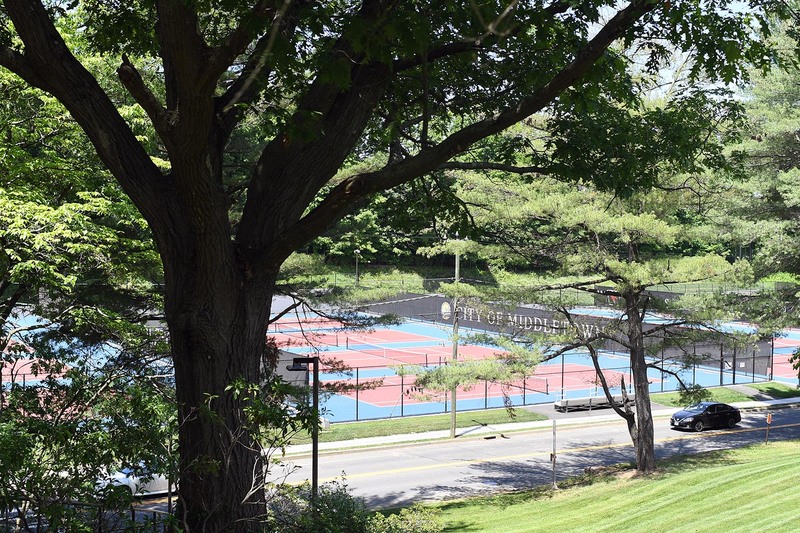 Last year, Wesleyan and the City of Middletown partnered together on a project to rehabilitate and upgrade the Vine Street tennis courts. 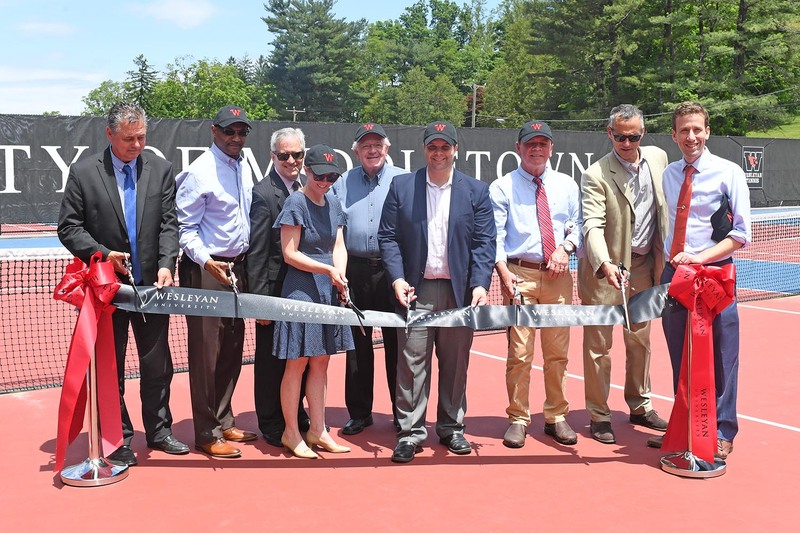 And on June 8, the courts were officially rededicated during a ribbon-cutting ceremony. 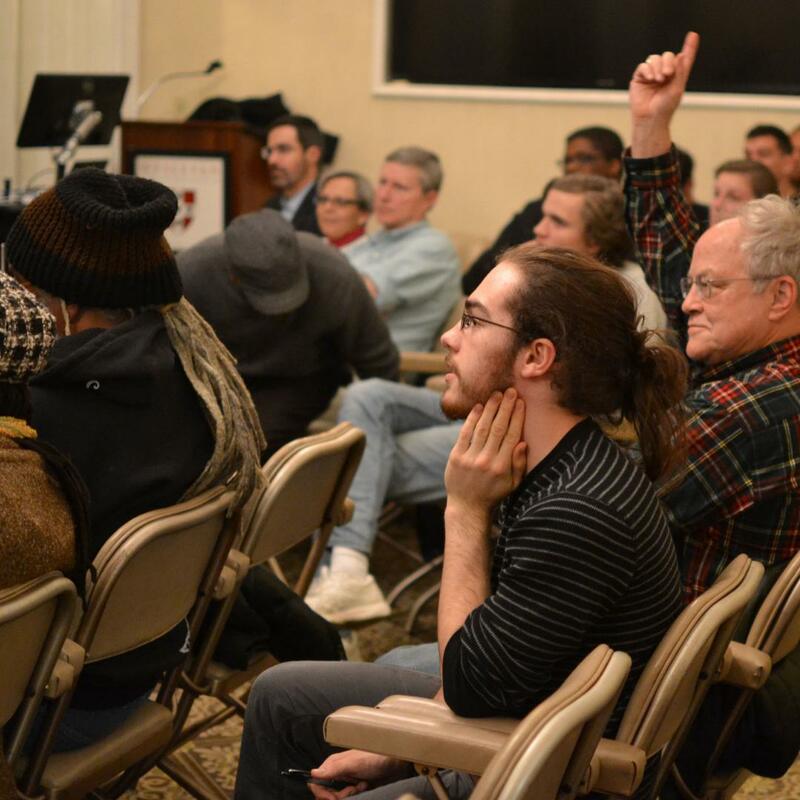 Participants included William Russo, director of Middletown Public Works; Lorenzo Marshall, Middlesex Chamber of Commerce; Seb Giuliano, Common Council; Cathy Lechowicz, director of recreation and community services for the City of Middletown; Gerald Daley, Common Council; Daniel Drew, mayor; Eugene Nocera, Common Council; Wesleyan President Michael Roth; and State Representative Matt Lesser ’10. 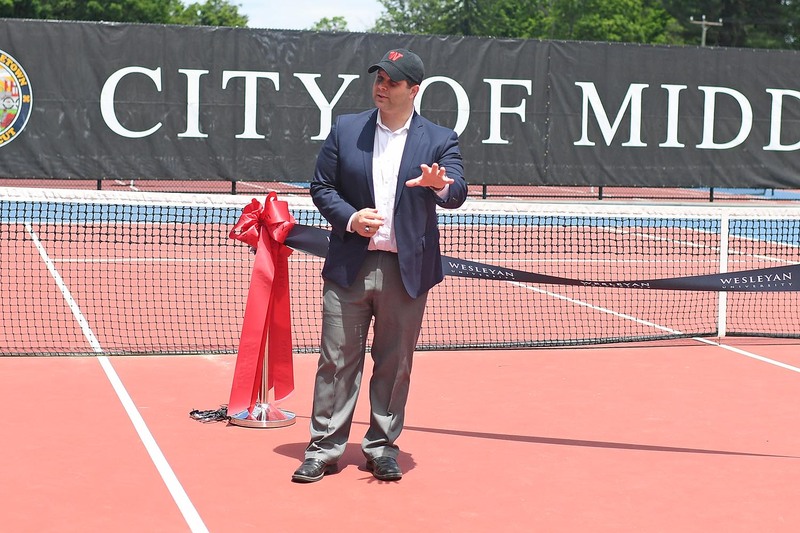 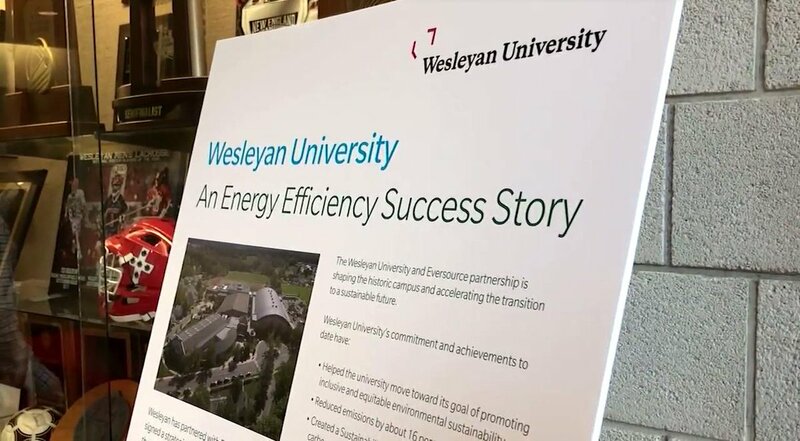 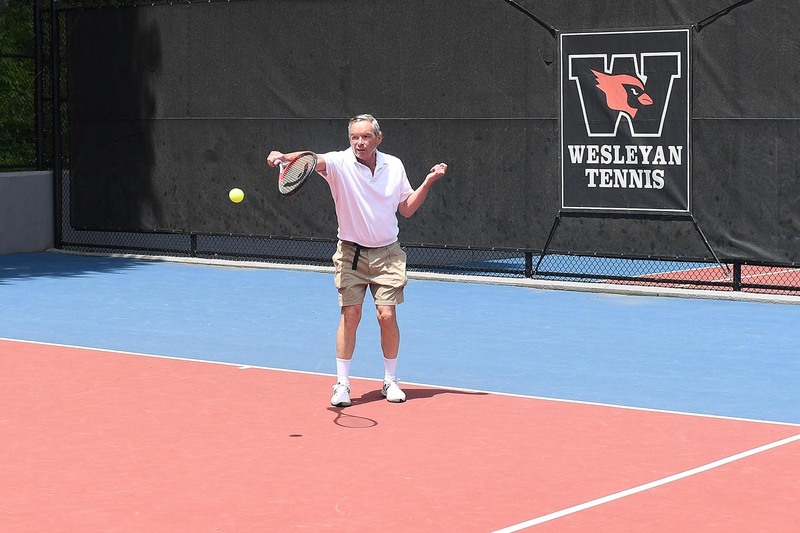 The renovation doubled the number of courts available, with eight courts designated for Wesleyan teams and eight leased to the City of Middletown. 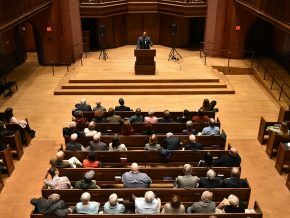 City of Middletown Mayor Dan Drew made remarks at the ceremony.